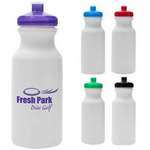 Shop our selection of corporate logo water bottles and proudly represent your company. 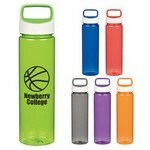 Our BPA Free plastic and metal sport water bottles are fully customizable and made with the highest quality materials. 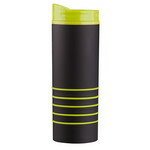 Choose from selection of tumblers, water bottles, jugs, squeeze bottles, and more. Available in plastic, aluminum and stainless steel finishes these bottles hit the mark in delivering your custom message. We are continuing to expand our inventory to bring you safe advertising products that will get the attention of already establish and prospect clients without any harmful components. This 16 ounce Mossy Oak plastic tumbler has the branded design wrapped around the cup. 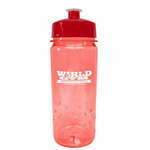 Our 16oz inspire bottle features a single logo imprint and a BPA free design. Light up someones day with the 16 oz. 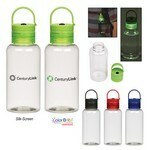 Titan Luminescent Promotional Bottle! 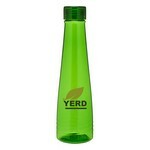 This luminescent bottle is the perfect gift for to get your brand out there, day or night! The 18 oz. Cabana Bottle keep hot liquids hot and cold liquids cold, meeting all your beverage needs, while ensuring that there are no spills. Always have a sufficient quantity of water, with the 18 oz. Water Jug by your side. 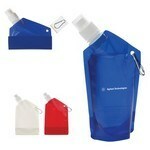 Shop for custom 20 oz H2go Splash Bottle. 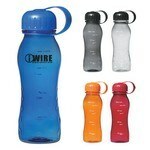 Customized reusable bottles are the perfect marketing tool for your company and will get your brand noticed! The 20 oz. 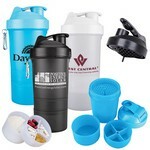 SmartShake original compartment fitness shaker has a leak proof lid and storage compartments at base. Always be in a good mood, well refreshed, and happy, by carrying the 20 oz. Mood Cycle Bottle (20 oz. Always have sufficient water and remain patriotically hydrated by carrying the 20 oz. Water Bottle that is made in the USA. 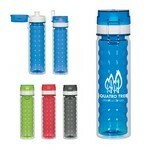 The 21 Oz Tritan Quench Bottle is made up of durable Tritan material that impact and shatter resistant. 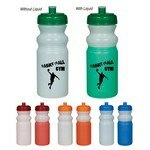 It has screw-On, spill-resistant lid with proposition 65 compliant.